Muttenz, February 7, 2019 – Clariant, a world leader in specialty chemicals, and its Healthcare Packaging business line, are exhibiting at Pharmapack 2019 and featuring products that protect the quality and appearance of bulk pharmaceuticals (powders, tablets, capsules, etc. ), as well as active ingredients (API) during processing and shipment. The show takes place in Paris 6 & 7 February 2019 and Clariant is exhibiting on Stand D20. The simplest solutions use desiccant. Sorb-It® PHARMA bags, are filled with silica-gel desiccant, while Tri-Sorb® PHARMA bags employ a molecular sieve. Placed inside packages of bulk or finished drugs or work-in-process APIs, these bags adsorb any moisture in the product, or the air surrounding it, to provide a low-humidity environment. Without such protection, moisture can cause a loss of drug potency, caking and clumping that affects material flow, among other problems. The desiccant bags comply with U.S. Pharmaceopeia USP<670> testing requirements for Auxiliary Packaging Components. They are available in a range of standard and custom sizes to suit specific application requirements. 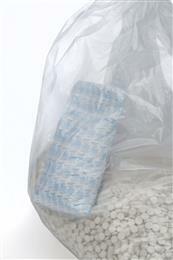 For these types of bulk applications, Clariant recommends EQius™ bags. EQius products are made using specially engineered sorbents that can act as humectants (desorbers) and desiccants (adsorbers) simultaneously, maintaining a particular equilibrium relative humidity (ERH) inside product packaging. This line of standard equilibrium-stabilizer products can maintain specific ERH levels between 10 and 60% to help bulk ingredients in boxes or bags maintain their physical integrity. “In other bulk applications, pharmaceuticals need to be protected not only against moisture but also against the harmful effects of oxidation. Oxygen can cause several kinds of degradation, a change in color or smell, a change in pH or other molecular properties, or physical changes. In these cases, PharmaKeep® Oxygen Absorbing Desiccant Bags (branded & produced by Mitsubishi Gas Chemical Company and distributed by Clariant Healthcare Packaging) is the recommended solution. PharmaKeep can adsorb both oxygen and moisture to prevent both oxidation and hydrolysis. This makes it an ideal alternative to conventional oxygen absorbers, which may actually require moisture for effective oxygen absorption, or complex and expensive processes such as nitrogen protection, vacuum or negative-temperature regulation. 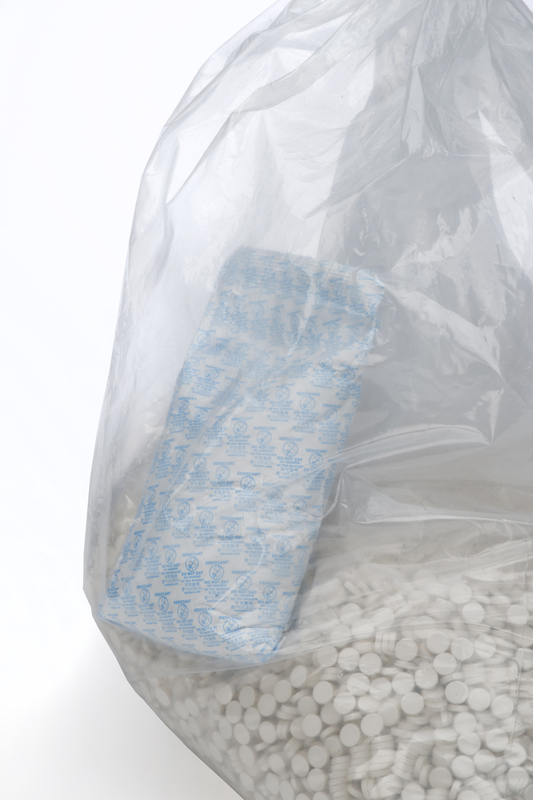 In addition, PharmaKeep oxygen absorber bags may be a good solution for large pharmacies that handle bulk quantities of tablets and use automatic dispensing machine,” Stephane Rault, Product Manager at Clariant, explains. Clariant is a globally leading specialty chemicals company, based in Muttenz near Basel/Switzerland. On 31 December 2017 the company employed a total workforce of 18 135. In the financial year 2017, Clariant recorded sales of CHF 6.377 billion for its continuing businesses. The company reports in four Business Areas: Care Chemicals, Catalysis, Natural Resources, and Plastics & Coatings. Clariant’s corporate strategy is based on five pillars: focus on innovation and R&D, add value with sustainability, reposition portfolio, intensify growth, and increase profitability.